As a professional chef with over thirty years in the field, I sometimes get a kick out of reading cookbooks. In particular I get a chuckle out of some of the recipes where the author seems to try to cement a one-to-one relationship between the level of the cuisine and number of ingredients in the recipe. Where some recipes are so complicated as to deter the most experienced amateur, professional chefs know that great taste is often to be found within much simpler combinations of expertly selected ingredients combined and balanced with a deft touch. With that in mind, I find myself befuddled and maybe just a tad troubled by one aspect of Usher's marketing campaign for the Be-718 loudspeaker. In recent years and despite the fact that the midrange-tweeter-midrange driver configuration bears his name, Joseph D'Appolito has come to be associated with Usher Audio Technology through his numerous speaker designs for them. He is also credited with designing the crossover for the Be-718. What troubles me is Usher promoting the fact that D'Appolito's crossover designs are then sent to yet another designer (Danny Ritchie of GR Research, a US loudspeaker manufacturer) who upgrades certain filter parts to 'better' and almost certainly more costly components. I'm not certain of the logic here. D'Appolito has been around the block a few times. I do presume he has the ability to hear what he's designing. Why second-guess him when it comes to the parts selection for his crossovers? He must be as aware of the existence of boutique parts as the next guy and he's certainly in a great position to assess their worth. As I discovered in my review of the Usher CP-6381, he's also a pretty good cook. Why his dish would then be subjected to a second chef for ingredient changes is a question that just vexes me. These improved ingredients are said to include high-purity oxygen-free copper air core inductors, Mills resistors, Sonicaps, Erse poly caps and Gen.2 Sonicaps. If it could be demonstrated to me that Ritchie affects some very real improvements to the speakers' performance, I'd feel a lot better. As it is, I have to wonder whether all this isn't about marketing and little else - a way to boost the price of the speakers with no questions asked. 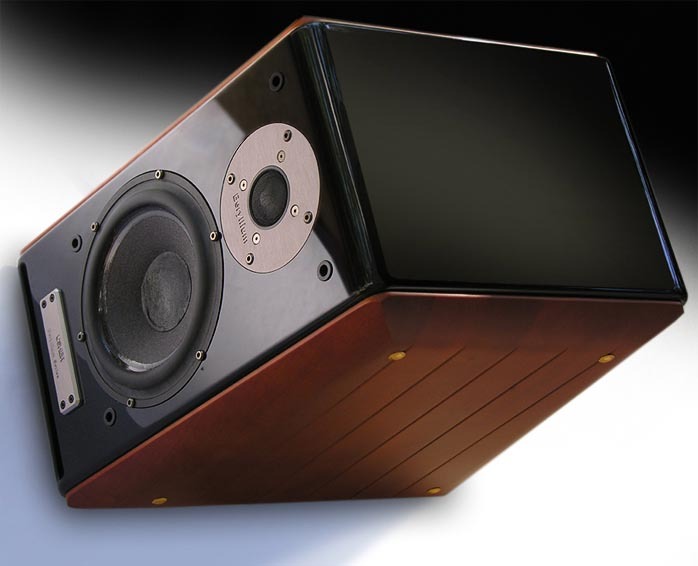 At $2,795, the Be-718 is fairly pricey for a smaller two-way speaker from Taiwan. As I look around other products also coming from the Far East, I'm starting so see some awfully pricey stuff arrive on these shores. The big advantage of Pacific Rim manufacturing cost is being either squandered by unnecessarily added bling or pocketed by greedy manufacturers and distributors. On one hand, this is good news for our domestic makers. If these folks want to squander their cheap labor advantage, why argue? But I also see a vaporizing of the consumer's ability to buy products of extreme value as should be the case. While it's true that for the Be-718, Usher is using the best drivers in their arsenal, I have to wonder whether substantially the same speaker couldn't have been brought in for less, say $500 less or some figure substantial to any buyer in this particular class. That's not to say the Be-718 isn't worth every penny of its asking price. It most certainly is. I'm just wondering aloud. Could it have been brought in for less money and monkey-biz to become a greater bargain? Who knows; perhaps Usher knows exactly what they're doing. With the more expensive is better mindset, they might sell more Be-718s at $2,795/pr than at $2,295. I mean, who takes a $2,295 pair of speakers as serious as a $2,795 pair? this price seem to be exercises in radical design implementations to completely lose sight of the art of music reproduction. In other words, with the rare exception, I've found the $3,000 price point to be the sweet spot for stand-mounted speakers. And the Be-718s are poised to occupy the sweet-spot's sweetest spot. Spending more on a small two-way doesn't usually buy more musical satisfaction. It'll buy high technology and perhaps a more complex enclosure but I'm not convinced anything there will sound more musical. Though it appears to be the same mid/woofer as used in other Usher speakers, the Be-718 uses Usher's best 7-inch paper cone driver called the 8948A. Of course the Be-718 also uses the top-shelf Beryllium dome tweeter found in their more expensive Dancer Series speakers. Be is the symbol for Beryllium, an extremely strong (yet brittle) and lightweight metal typically used in alloys as hardening agent. Beryllium is said to have one-third the mass of aluminum and can be fabricated into a much thinner membrane. Throw in a higher resistance to deformation and what you get is an extremely thin tweeter dome of much lower mass and greater strength than other tweeter materials. As noted, the Be-718 (or Tiny Dancer as it's called) is a two-way utilizing the 1.25-inch Beryllium tweeter. Usher specifies a sensitivity of 87dB, a nominal impedance of 8 ohms and a frequency response of 42Hz to 35kHz with an F3 of 42Hz. They suggest a power handling of 200 watts for this 17.2 lbs monitor which stands 15 inches tall by 10 inches wide by 16 inches deep at the bottom and 12 inches deep at the speaker's top (add another two inches for binding post clearance). Crossover frequency is specified at 2.06kHz. In terms of build and finish, the front-ported Be-718 is executed superbly. Their level of finish exceeds that of my old JMlabs Mini Utopias which sold for twice the price. The connective hardware is first-class though no provided jumpers mean your own jumpers or mandatory biwiring. The high-gloss black paint job is admirably done and one needs only to run one's fingers over the luxuriously satin-finished cherry cheeks to fully appreciate the artful finishing job. These Tiny Dancers are examples of the type of speakers that photos don't do justice. They get my highest marks. Lastly, they are said to be internally wired with JPS Labs Alumiloy - as is my entire system so that's one extravagance on which I'll give Usher a pass. When placed on stands, the Tiny Dancers aren't all that tiny really. For stand-mounted speakers, they're quite substantial in fact. I like that. These aren't toys and they don't look like toys. In the listening room, the Tiny Dancers were somewhat slow to impress. Though I'd received them fully broken in, I found myself listening for the wrong things. 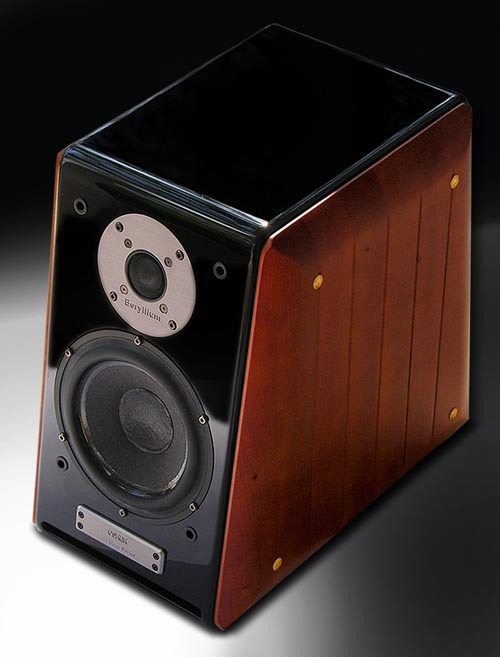 So much had been made of the Beryllium tweeter that I expected a speaker that would set itself apart by producing one of the most brilliant and perhaps attention-grabbing trebles extant. This was not the case. 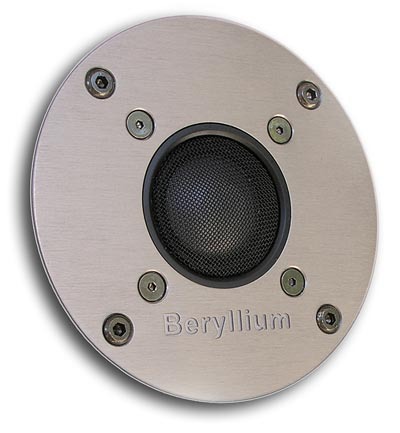 In fact, eventually I discovered that the brilliance of the Beryllium tweeter may be best observed not so much in the high frequencies but everywhere else. that a good super tweeter doesn't work its magic by producing ultrasonic frequencies per se but because it does a much better job of producing frequencies within the band of audibility than most domes can [certainly with improved HF off-axis response and with that, a more integrated power response - Ed]. In fact, some accuse the average dome tweeter of turning in a particularly poor job at its assigned task and therefore destroying part of the musical waveform. What I discovered with the muRata is that it not only recreated the treble frequencies as perhaps never before but thereby elevated the performance throughout the rest of the spectrum. It was as if once the upper harmonics were finally reproduced in their entirety as intended, the presentation of fundamentals and everything in between benefited from new focus and coherence. It was by listening to the Be-718's top-to-bottom performance that I finally clued into exactly what the excellent Beryllium tweeter was bringing to the party. Because the Be-718 is said to use a better mid/woofer than the CP-6381 I previously reviewed, I'm not in a position to lay all of the Tiny Dancer's sonic enhancements at the feet of the tweeter. However, as compared to the CP-6381 and within the context of my smaller room, the Be-718 is a much better speaker from 45Hz on up. While the CP-6381 did much right and had no fatal flaws, the Be-718 builds upon its performance with a more transparent midrange, tighter and more articulate bass and much better microdynamic snap. The timing of the entire spectrum seems better, with leading edges seemingly sharper than I recall to lend the Be-718 better rhythmic swing and bounce, more microdynamic snap and improved sense of timing. That and a new and greater sense of tempo make the music more dramatic, more expressive and more involving. 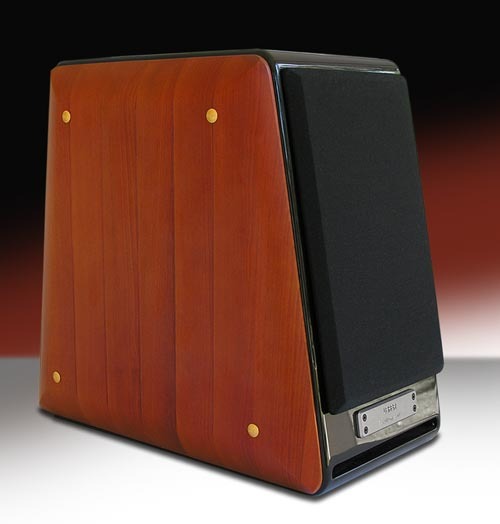 The Be-718 is a much more involving speaker than the CP-6381 was and more so than most in its class. The Be-718 is one of those stand-mounts that's more likely to have you look around for the hidden subwoofer than wishing you had one. They showed amazing clarity, body and bass-resolving ability on the drum and its overtones on "Lovin Mother Fo Ya" from John Cougar's Uh-huh [RVL 7504]. Even the bass lines on "Serious Business", which are hardly prominent in the mix, remained superbly intelligible in the background. They showed convincing power and extension on "Tea In The Sahara" from the Police LP Synchronicity [A&M SP-3735]. The Be-718 doesn't sound like a small speaker trying to sound big. There's a genuine sense of ease about its presentation at any volume - though the 718 doesn't fully blossom until cranked a little. Bass is at its best when playing back at volumes that preclude polite conversation and I wasn't able to get it to say uncle in my room. Even at enthusiastic volumes, there's a natural and unforced quality to the 718. Apartment dwellers with restricted volume constraints probably won't get the best the Be-781 has to offer with regard to bass power and palpability. The opening bass beat on "Psycho Killer" from the Talking Heads' Stop Making Sense [Sire 25186-1] billowed throughout the room but "Swamp" and "Once In A Lifetime" exhibited sharp-edged bass with a hard leading edge, lots of body and absolutely no overhang. In other words, the character of bass produced by the Be-718 depends extensively on the program material though crisp and nicely damped are descriptors that apply more often than not. That's not to say that its bass rattles the windows, though. It won't. With response down to about 40Hz, the 718s produce the kind of bass that excites the ears more than the gut. That's no slight on the Ushers, mind you. They're quite good for what they are but they're still speakers, not subwoofers. In small to medium-sized rooms, I suspect that Usher 718 owners wanting more bass will be referring to more bass extension rather than more output. Of course, getting proper bass from any speaker large or small requires proper positioning of both the speakers and the listening seat. Once properly situated, the Be-718 is extremely solid down to its cut-off and full and rich through the upper bass in a very natural sort of way. That's good news all the way around. Those in small rooms should revel in the Be-718's bass and those starting small and possibly wishing to add a subwoofer later will be delighted to find that the naturally balanced Be-718 should mate flawlessly with any quality subwoofer. As already mentioned, the Be-718 is superbly lucid and musically detailed through the midrange and it does have just a slightly more exciting character than absolutely neutral. It's not bright but it sounds more alive than laid-back. Superbly transparent, it's certainly one of the least colored speakers I've used. But don't confuse transparent with light and airy. This speaker throws up one of the more solidly present images I've experienced and in that regard it's on par with any of my reference speakers. The presentation has a reach-out-and-touch solidity that really turns my crank. In this regard, the 718 sounds like a much larger speaker. Not many small-two ways I've heard exhibit such a harmonically saturated midband. I've never been overly impressed with the overall quality of the Talking Heads LP but I'll be darned if it didn't sound surprisingly convincing with the Ushers. The soundstage isn't all that impressive and it didn't have the razor-sharp image outlines of better recordings. "Burning Down The House" for instance was produced entirely between the speakers but the Ushers produced the band's images so solidly in my room as to be a much more believable presentation. The Be-718 focuses like few other speakers. Imaging is wide, tall and deep. The worst thing I can say about the speaker is that the image never broke as free from the speakers as they did from my references but considering their price and all they do so right, this is a tiny caveat. Though the image extends well beyond the position of the speakers, images placed to the extreme outsides didn't have the solidity and almost visual presence of those placed between the speakers. I think the only listeners who would even notice this are those exposed to much more expensive speakers. The tiny Mark & David Maximus Minis have a remarkable ability to just vanish in the room and they provide one of the most holographic soundstages I've ever had in my room, with tremendous focus from extreme left to extreme right. However, as compared to the Ushers, they don't have near the solidity or thereness. The little Mark & Daniel speakers are quite good but returning to the Ushers proved to reinforce just how special the Ushers are. 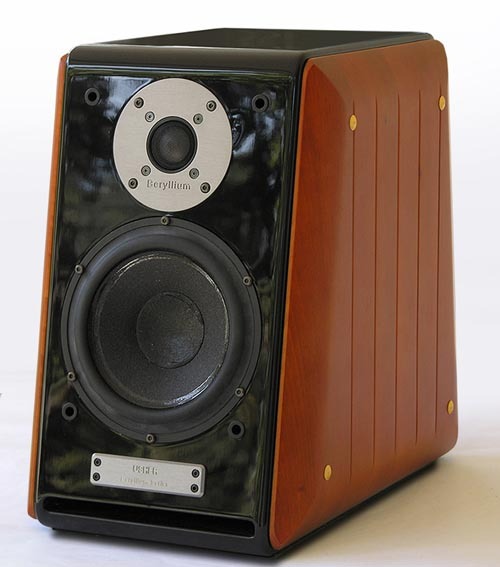 Throughout the treble, the Beryllium tweeter failed to make its presence obvious. That's a good thing. I've heard some highly touted tweeters sound really good in some speakers and really bad in others simply by making their presence known. No matter the quality of the driver, how it's implemented is just as important as the raw driver itself. The Be-718 sounds naturally extended and nicely detailed but never artificially so. There's no edginess, harshness or hardness. Overly sweet or rolled-off are words never to be used to describe it. The tweeter and the speaker as a whole are extremely honest and while they don't exacerbate much, they don't conceal much either. The backing vocals on "Sister Moonshine" from Supertramp's Crisis What Crisis? [A&M SP= 4560] got a little harsh at boisterous volumes as this recording does from time to time but it was the only time I ran into any trouble. On the whole, this mediocre recording was enjoyable largely due to (content aside, of course) the occasional subtle bass lines that would peek out from the cacophony in the most surprising of ways and also because the Ushers really do have a buttoned-down succinctness that keeps things orderly and rhythmic. In other words, though the sonics weren't great, these speakers don't get sloppy or mired in the muck. I quite liked this aspect of their performance. As well as probably any speakers I've heard, they do have a way to rise above the murk and get the music and message through. As compared to other favorites in the stand-mounted two-way category, the Be-718 does better than hold its own in every way I can think of. It's more dynamic and gifted with a seemingly limitless loudness capability when compared to the Thiel PCS that I liked so much before it ceased production. The Thiel was probably the more neutral of the two, with the Be-718 voiced just slightly to the wild and exciting side. 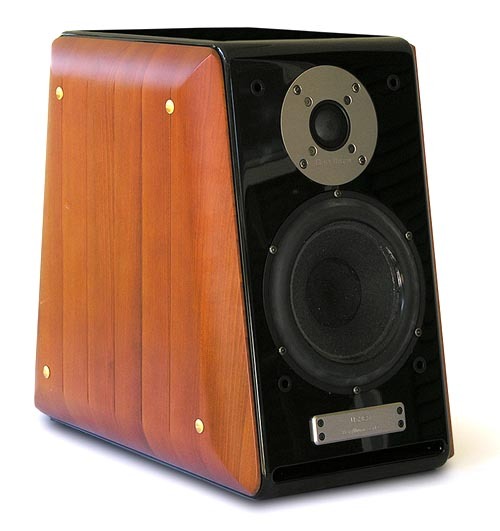 The ACI Sapphire XL is still one of my favorite speakers in the class and remains a best-buy. It has one of the more forgiving trebles and one of the least colored midbands in its sub-$2k price class. Though small (and power hungry), it'll surprise you in the area of bass performance. But the Be-718 sounds just as clean and uncolored and it plays louder with a greater sense of ease. By comparison, the Usher just sounds like a bigger speaker -- which it is -- and sometimes there's no bucking the laws of physics. As I said earlier, the Usher sounds a lot like the Sapphire XL after the addition of the excellent muRata super tweeter. That's some pretty high praise. The Usher can't match the bass extension of the floor-standing Thiel CS2.4 but it may just play as loudly and it has a slightly more focused and open sound than the Thiel which in my room is fuller and warmer through the midbass. While on the topic of volume levels, I should take the opportunity to note the slightly below-average sensitivity of the 718s. Rated at 87dB, one will want to provide the Ushers with some current. This probably isn't the speaker you're thinking about mating to a 40-watt EL 34 integrated amplifier, as much fun as that sounds in theory. But the good news is that the Be-718 commits none of the foibles that will send most users in search of tubes to correct. It's got plenty of natural body and warmth and as I said before, there's nothing about the treble that requires fixing. 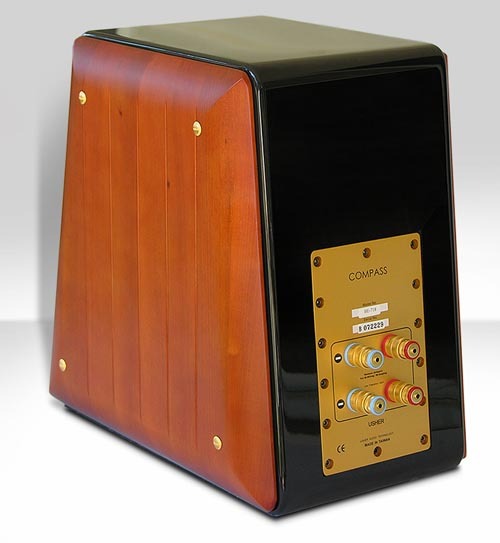 This speaker has that concrete solidity about it that makes it a great choice for various solid-state amplifiers. Most of my time was in fact spent with the 500-watt Bel Canto e.One REF1000 monoblocks (and I highly recommend the combination) but the Musical Fidelity A5 integrated would make a fine mate as well. The Tiny Dancers lack for so little within their context that there's little reason that they wouldn't mate with most competently powerful amplifiers. While I still have some reservations with regard to the way they're marketed, the Be-718's proof is in the listening and it's a stellar performer by almost any measure. Fed by an adequately powerful amplifier, be it tubes or solid-state, these Tiny Dancers are terrific performers combining a surprising and class-leading quality and quantity of bass brawn with excellent dynamics, a beautifully articulate and expressive mid-band and an honest yet fatigue-free treble. While the market is full of well-designed speakers that seem to cross a lot of 't's and dot a lot of 'i's, in my own experience most of these designed-by-numbers speakers sound great but fail to involve the listener and seldom become the object of the listener's affection as I predict these speakers will. I find these Ushers exceptionally endearing and involving, which is by far their most important characteristic. If I were in the market for a stand mount these would be my first choice because, in this price class, I think a speaker that hits all its marks is difficult enough to find but one that is as engaging to listen to as the Usher Be-718 comes along only once in a blue moon. Quality of packing: Nothing fancy but it gets the job done. Reusability of packing: Should be good for several cross-country trips. Ease of unpacking/repacking: Very easy. Condition of component received: My pair came via another reviewer and was mispacked causing damage to a tweeter which required replacement. Completeness of delivery: See below. Quality of owner's manual: Did not receive a manual but this could be due to the fact that they did not come from the factory. Final comments & suggestions: None. Atul Kanagat and Stan Tracht of MusikMatters wanted me to tell you in no uncertain terms how much they appreciated your review. Nothing like that emerges from anyone other than a passionate reviewer. We all appreciated the work you obviously put into it. We don't actually credit Dr. Joe with designing the crossover but rather tuning it for the US market as he's done many times before. MusikMatters shows its respect for his position in the industry with total transparency about what he does for Usher. As we say, "Dr. Joseph D'Appolito, Usher's long-serving technical consultant, provides crossover tuning here in the 'States." The Be-718s' crossover was actually designed by Mr. Tsai who chose the parts values. As we say, Dr. Joe -- everyone's favorite engineer -- tuned the crossover for the US market and Danny stuffs the boards with premium parts and JPS Labs cable. MusikMatters actually saves $300 to $400 dollars a pair this way! Everyone at Usher holds Joe in the high esteem he deserves; we'd never second-guess a man of his expertise and experience. But Atul Kanagat, MusikMatters' CEO, was passionately devoted to producing amazing sound at a surprising value. The "global" version is thus for the U.S. only. JPS wire is specific to the Be-718. A heavier gauge wire is used in the larger Dancers. However, JPS is busy developing a wire specifically for next year's Dancers. While the 6381s you reviewed earlier were indeed an all-Dr. Joe production, the Be-718s were conceived, built and parted under Global Design parameters. As you so enthusiastically noted, it seems to have worked!